Chile experienced deep valleys and high mountains in 2010. Surprised by a financial crisis and struck by a devastating earthquake and tsunami, the country was forced to form a bold and responsible plan for financing reconstruction (18 percent of G.D.P. in economic losses) on the short term and had to tap into all possibilities of Chile’s main economy pillars, such as trade and commerce, the agricultural industry, mineral resources and also other industries. The natural disaster had caused an immense damage in the agricultural sector, existing of a wide range and variety of crops, which contribute considerably in the economy of Chile. Looking back at the last period, one can conclude that Chile has come back and beyond. Chile’s economy is growing rapidly, and will probably sustain at least 6 percent growth per year during the coming decade. This growth has been possible thanks to an increase within the retail, transport and communications industries, and an increased investment and consumption of consumer and durable goods. This reflects an improved optimism in the economy. 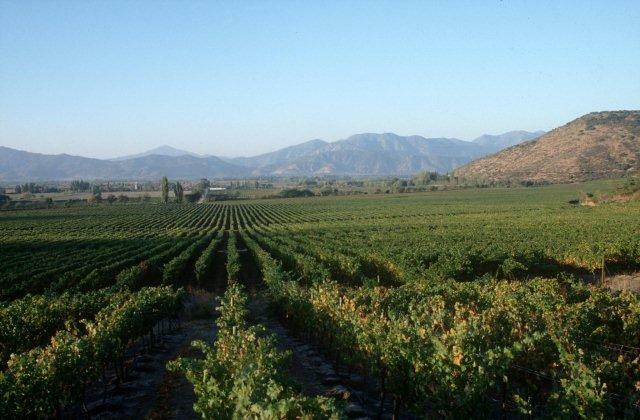 But it is still a fact that this year Chile's agriculture sector has seen one if its poorest performances in recent decades, according to the National Agriculture Society (SNA). The poor growth rates are mainly caused by the wine and livestock sectors, with wine production falling by 10 percent, milk by 3 percent and meat by 1 percent. Fruit, seeds, fish, horticulture and forestry products are the other products that serve Chile’s position on the international trade market. Especially in the horticulture and fisheries sector the production of high quality specialized products is in process of thorough modernization and focuses more and more on markets abroad. With sales to over 150 markets around the world, food products represent the greatest growth opportunity for Chile’s export sector in coming years. In fact, it underlines the most ambitious agricultural policy called “Chile Potencia Agroalimentaria”, to consolidate and strengthen Chile’s agricultural and food exports. This policy should enable the country to become one of the world’s top ten food product exporters by 2015. In some areas the government introduced a bonus system for small farmers. This bonus is an addition to the other two supports which the Ministry of Agriculture (through INDAP) delivered to small farmers who suffered damage to their production units, such as destruction of warehouses, packing, storage sheds and wine barrels and the establishment of new crops, amongst others. This bond considered a contribution of up to $ 2.200.000 per recipient and up to $ 5.000.000 in the case of support for business associations. To help Chile achieve its long-term goal of expanding agricultural exports, further modernization and innovation of the sector is needed. Increased attention should be focused on improving education in rural areas, especially in the southern regions. Research showed that farmers with a higher level of education were more likely to produce an exportable good than farmers without any education. Another very important aim is to facilitate farmers’ access to irrigation and drainage systems. This will lead to improvement of the use of land, water and productive resources, but will also enable farmers to expand their production choices. Modernisation from abroad like greenhouse technology or innovations that reduce the polluting aspects of intensive pig farms or technology to improve storage, refrigeration and packaging are other aspects that could contribute. Chile proved to be Latin America’s most competitive economy. This year Chile placed itself at number 30 on the World Economic Forum’s annual competitiveness ranking list, far ahead of any neighbour country. Besides that Chile is one of the region’s richest economies, with per capita income ahead of Argentina and Brazil. It is the country of reforms, and will likely become a major economic, trade and financial bridge between China and Latin America. The years 2009 and 2010 have been tough for Chile, but according to Chile's ambassador to the European Union, mister Carlos Appelgren Balbontin, the country was able to show the world that it was capable of facing the events. He concludes: "If the EU wants to have a relevant role in the world, it needs Latin America," referring to the realignment of global powers in the 21st Century. 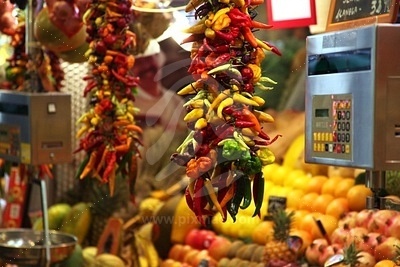 TRANSFER will organize a trade mission in the field of horticultural technology to Chile in the first half of 2011. Interested in participating? Please contact Mr Jan Willem van Bokhoven at our Head Office.